In the U.S., Charles V. Chapin was responsible more than any one person for instituting the progressive aspects of the public health movement, but he started his career when miasmas dominated beliefs in disease transmission. In a paper published in the American Journal of Public Health in 1909, he recalled his early career and the incredible ideas that were believed at that time. In 1884, the appointment of Charles V. Chapin as Superintendent of Health for the City of Providence, Rhode Island was one of the milestones that can be noted in making boards of health more professional. Much has been written about his career, but it was his assumption of the duties of Superintendent of Health that defined his contribution to public health. He was trained as a physician but Chapin became instrumental in improving not only medical education but also the education of public health specialists. Chapin is one of the best examples of the new professionals who bridged the period from miasma to germ theory. He had been trained in the arts of fumigation and cleaning the streets to remove filth. He was obtaining his medical education just as the age of bacteriology was dawning. He had taken courses in the new bacteriology and had followed the publications of Robert Koch in Germany who had identified the tubercle bacillus and the bacillus comma that caused cholera. In addition, Chapin adopted and used Koch’s new laboratory technique called the plate method to quantify the number of bacteria present in a water supply. Disinfection of households which held victims of infectious diseases was one of the lingering effects of the miasma theory. In 1902, Leal discussed the useful and ridiculous aspects of disinfection of a diseased household after the removal of the infected person. Yet, cities felt compelled to continue the tradition because it was ingrained in the public psyche and the public expected it. Providence, Rhode Island stopped terminal disinfection for diphtheria cases in 1905 but it was not until 1908 that Chapin was able to stop terminal disinfection for scarlet fever cases. In 1913, New York City eliminated virtually all terminal disinfection and many other cities followed suit. (Chapin 1923) Part of the resistance to eliminating terminal disinfection was public relations, but a huge part of the problem was that there was a deeply ingrained belief that if someone was sick, they probably infected the air and the bad air had to be cleansed. Commentary: I knew nothing about Charles V. Chapin when I started writing The Chlorine Revolution. After seeing his name pop up in many contexts dealing with the new public health movement, I read his autobiography. He was an extraordinary individual who did more than most to modernize public health in the U.S.
Cassedy, James H., Charles V. Chapin and the Public Health Movement. Cambridge: Harvard University Press, 1962. Chapin, Charles V. 1895. “The Filtration of Water.” The Medical News. 66 (January 5, 1895): 11-4. Chapin, Charles V. 1915. “Truth in Publicity.” American Journal of Public Health. 5 (June 1915): 493-502, In Papers of Charles V. Chapin, M.D. Clarence L. Scamman ed., New York:Oxford, 1934, 13-9. Chapin, Charles V. 1923. “Disinfection in American Cities.” The Medical Officer (London). 30 (November 17, 1923): 232-3, In Papers of Charles V. Chapin, M.D. Clarence L. Scamman ed., New York:Oxford, 1934, 92-5. Leal, John L. 1902. “Facts vs. Fallacies of Sanitary Science,” Eleventh Biennial Report of the Board of Health of the State of Iowa for the Period Ending June 30, 1901. Des Moines:Iowa, 129-40, from The Christian Advocate. New York, August 21, 1902. Swarts, Gardner T. 1895, “Discussion on the Foregoing Group of Papers From ‘The Cart Before the Horse’ to ‘The Report of the Committee on the Pollution of Water Supplies,’ Inclusive.” In American Public Health Association, Public Health Papers and Reports. Vol. 20, Columbus, OH:APHA, 83-4. 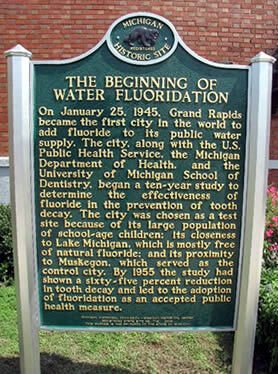 This entry was posted in Year 2 This Day in Water History and tagged ceremonies of incantation, Charles V. Chapin, drinking water, filtration, germ theory, infectious disease, miasma, public health, water, water history on January 30, 2014 by safedrinkingwaterdotcom. 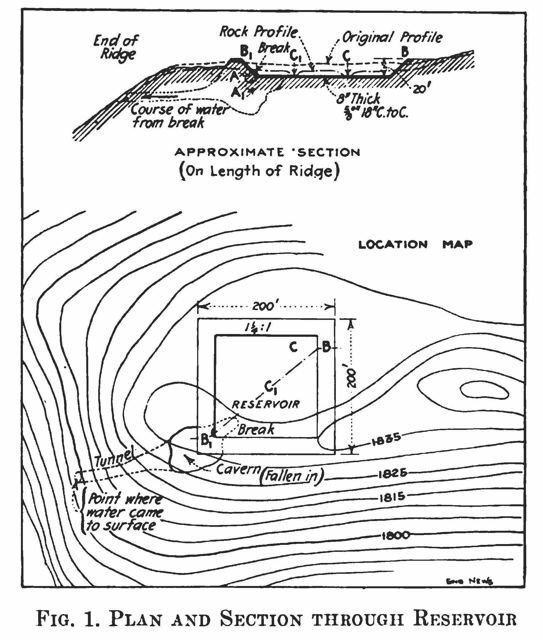 January 30, 1913: Engineering News article–Partial Failure of Reservoir Lining. Johnson City, Tenn. By D. R. Beeson. “A portion of the concrete lining of a new reservoir just put in service for the water-supply of Johnson City, Tenn., blew out on Jan. 10 and allowed the contents of the reservoir to escape. No one was injured in the accident nor was any property other than the reservoir proper damaged by the outflowing water. Reference: Engineering News. 1913. “Partial Failure of Reservoir Lining.” 69:5(January 30, 1913): 234. This entry was posted in Year 2 This Day in Water History and tagged drinking water, lining failure, reservoir, Tennesee, water, water history on January 30, 2014 by safedrinkingwaterdotcom. Commentary: In case you were wondering how water utilities thawed out pipes in 1914..
Reference: Municipal Journal. 1914. “Pipe Thawing Outfit.” 36:5(January 29, 1914): 134. 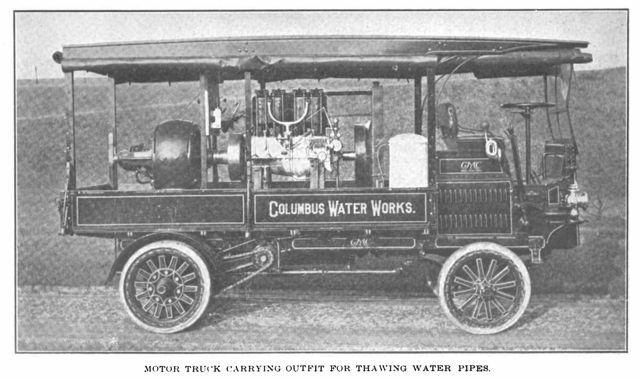 This entry was posted in Year 2 This Day in Water History and tagged Columbus, drinking water, Ohio, water, water pipes on January 30, 2014 by safedrinkingwaterdotcom. Public sentiment is a strange and illusive force. It sometimes fails to respond, in spite of every effort to arouse its interest in a worthy case. Again, it suddenly asserts itself without any known reason. One of the strangest of recent manifestations of this force of public sentiment is the present crusade against the common drinking cup. For years physicians and sanitarians have urged the danger and the filthiness of common drinking utensils. With few exceptions their words seemed to fall on deaf ears. The public, apparently, was not interested. But suddenly, without any manifest reason, the point of saturation seemed to be reached. Crystallization of public opinion began. 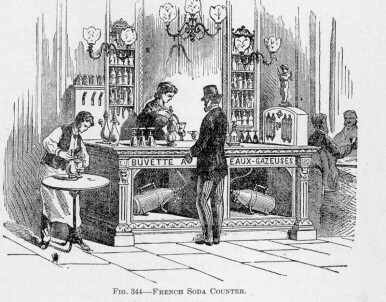 States began to enact laws, and cities to pass ordinances abolishing the common drinking cup in all public places. State after State took it up. There was no concerted movement; there was scarcely any organization behind it; there was little special effort needed. The people evidently had made up their minds that common drinking cups were bad and must go. So they have abolished them in at least twenty-four States in a little more than one year’s time. These States are California, Colorado, Connecticut, Georgia, Idaho, Illinois, Iowa, Kansas, Louisiana, Massachusetts, Michigan, Minnesota, Mississippi, New Hampshire, New Jersey, New York, Oklahoma, Oregon, Pennsylvania, Rhode Island, South Dakota, Utah, Vermont, and Washington. Doubtless the other States will act as soon as they have an opportunity. Commentary: I wish it were that easy. Generally, the public resists hearing about facts related to public health. However, clearly a “tipping point” of some sort was reached in the public’s consciousness. The action of the states clearly led to the federal action later in 1912. 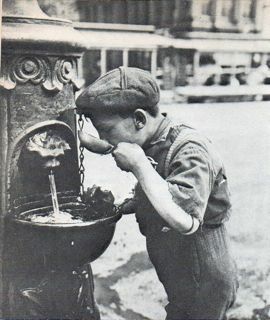 On October 30, 2012, we observed the 100th anniversary of the first federal drinking water regulation, which was adopted by the U.S. Treasury Department that prohibited the use of the common drinking cup on interstate carriers. Seven articles in my blog safedrinkingwaterdotcom provided a countdown to the anniversary date. This entry was posted in Year 2 This Day in Water History and tagged common cup, public health, public sentiment, regulation, tipping point, U.S. Treasury Department, water on January 28, 2014 by safedrinkingwaterdotcom. This entry was posted in Year 2 This Day in Water History and tagged drinking water, Lake Charles, Louisiana, public health, typhoid fever, water, water history, water treatment on January 26, 2014 by safedrinkingwaterdotcom. January 26, 1864: Birth of Moses N. Baker. “Moses N. Baker (1864–1955) was a noted editor and author in the field of drinking water history and technology. His most important book is still used today: The Quest for Pure Water: The History of Water Purification from the Earliest Records to the Twentieth Century. He was also active in the field of public health holding several positions on boards of health at the state and local levels…. Baker started his long career as author and editor in November 1887 when he was hired as the Associate Editor of Engineering News. This publication and the consolidated weekly Engineering News-Record which began on April 1, 1917 were the definitive sources of news about advances in the control and treatment of drinking water and sewage for decades in the late 19th and early 20th centuries. He retired in 1932 after 45 years of service…. Baker was a member of a number of professional organizations and societies including the New England Water Works Association, American Water Works Association and the American Economic Association. 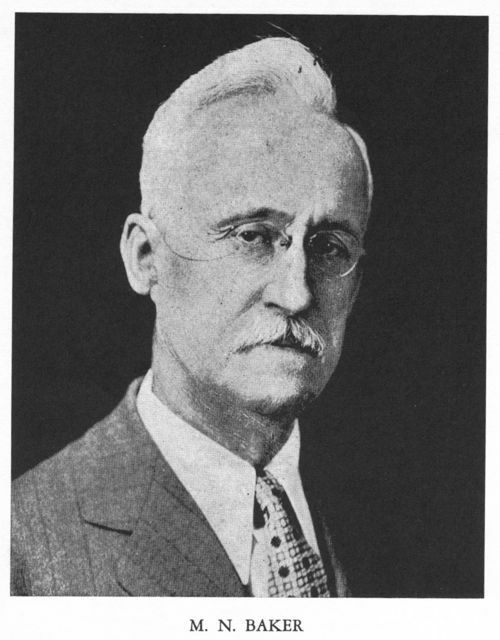 He was Chairman of the Executive Committee of the National Municipal League from 1911 to 1918. 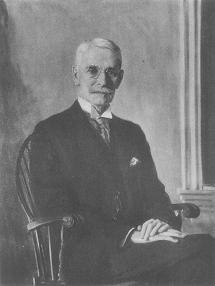 He was a member of the Montclair, New Jersey Board of Health for 20 years and served as its president from 1904 to 1915. 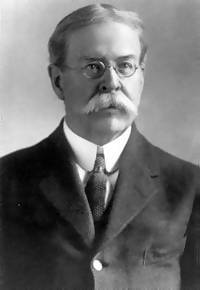 Baker was a member and vice president of the New Jersey Department of Health in 1915-16. 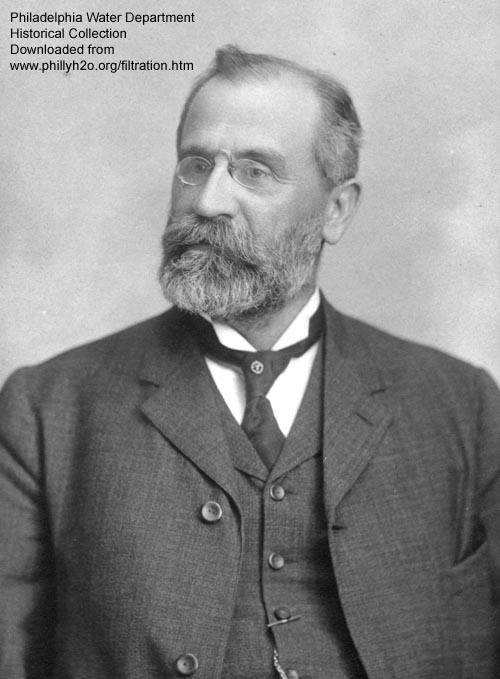 He served as President of the New Jersey Sanitary Association in 1904 following the term of John L. Leal. Commentary: Baker is one of my heroes. It was quite a thrill to make a connection with his great grandson who is a Norwegian citizen. Ah, the Internet is an amazing thing. Commentary: Gulp! Guess what alternative was chosen? 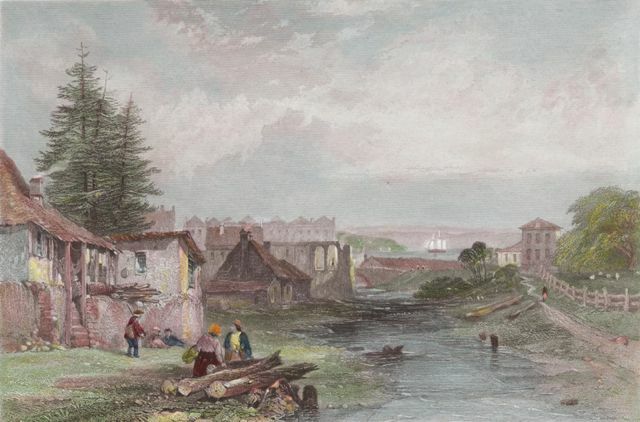 This entry was posted in Year 2 This Day in Water History and tagged Australia, drinking water, Moses N. Baker, public health, Rudolph Hering, sewage, sewage farms, Sydney, Tank Stream, water, water history on January 26, 2014 by safedrinkingwaterdotcom.